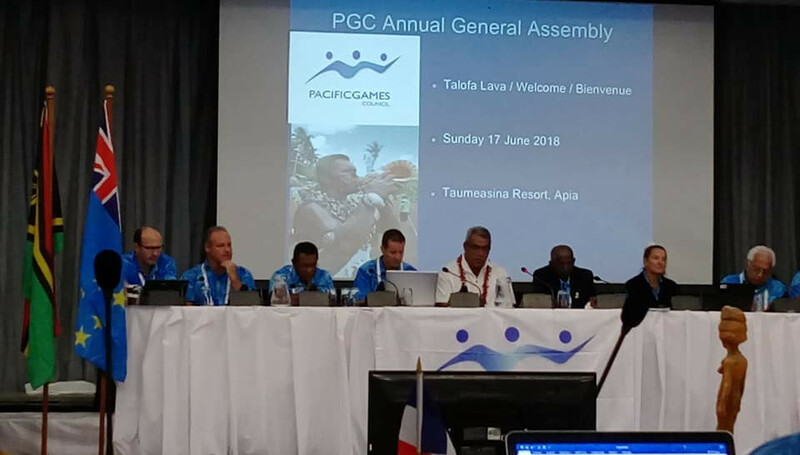 Pacific Games Council (PGC) chief executive Andrew Minogue outlined the decisions of the organisation's Sport Committee at their General Assembly here today. The PGC Executive Board agreed that beach volleyball, judo and weightlifting competitions should also act as the Oceania Championships. 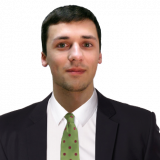 Additionally, it would form part of the Tokyo 2020 Olympic qualification process for the sports, with the weightlifting event already serving as an qualifier. Ranking points would be on offer in both beach volleyball and judo. All three events would feature athletes from Australia and New Zealand, as part of the eight sports the two countries have been invited to compete in. Both nations competed at the Games for the first time at Port Moresby 2015, with their representation coming in taekwondo, sailing, rugby sevens and weightlifting. In 2016, the PGC announced the powerhouse nations would be allowed to compete in athletics, beach volleyball and judo at the 2019 Games, while New Zealand have been granted entry into the football tournament. Under the terms of their participation in athletics, both countries would be limited to 20 athletes. "One of the eight sports was athletics and the resolution at the time was that they be limited to 20 athletes each and that the events they could come in would be targeted, with work done with the Oceania Athletics Association (OAA)," Minogue said here today. "This was in two aspects. "Events where we had small fields, where it would help to have additional numbers. "The other events - the 100 metres, 200m and 400m for men and women - we do have athletes in those who are trying to qualify for the Olympic Games." Decisions followed advice from the OAA who advised that potentially stronger competitors from Australia or New Zealand could help push athletes in those events to achieving Olympic qualifying times. The example of Fijian sprinter Banuve Tabakaucoro was raised to illustrate the point, as he claimed men's 200m gold at Port Moresby 2015. He triumphed in a Games record of 20.53 seconds, which ultimately saw him miss out on the Rio 2016 qualification mark of 20.50. It was suggested a stronger field may have helped push Tabakaucoro to reaching the required time. Australia and New Zealand are set to participate in the mixed team recurve archery event at Samoa 2019, although they will not be able to win Pacific Games medals. Their participation in the event is due to a request from World Archery for the Oceania qualifier for Tokyo 2020 to be held at the Games in the discipline, as its Olympic debut approaches. Minogue stated this was another example of how the PGC were looking to add further value and prestige to the Games. Charter approval was required due the compulsory sport programme being enshrined in the document. The addition followed a recent proposal from the Rugby League International Federation for the event to be included. The PGC highlighted how both the Cook Islands and Papua New Guinea had featured at the Women’s Rugby League World Cup last year. Approval of the request means gender parity has been achieved across sports at the Pacific Games, as rugby league was the last remaining sport only for men. Samoa 2019 would need to offer their backing for women's rugby league nines to be included at the Pacific Games next year, however, given they were awarded the event when the discipline was not included in the charter. A total of six teams would also need to participate, should their backing be forthcoming. Approval was also granted by PGAs for an additional archery event and two Para-athletics events, the women's javelin and a 100m sprint.